Candidates should be well-qualified, committed to high standards, interested in using innovative approaches to teaching and learning and enthusiastic about promoting international understanding. As interviews will be held on a rolling basis via Skype and face-to-face, we encourage applicants to apply as soon as possible. * A beautiful part of the world. 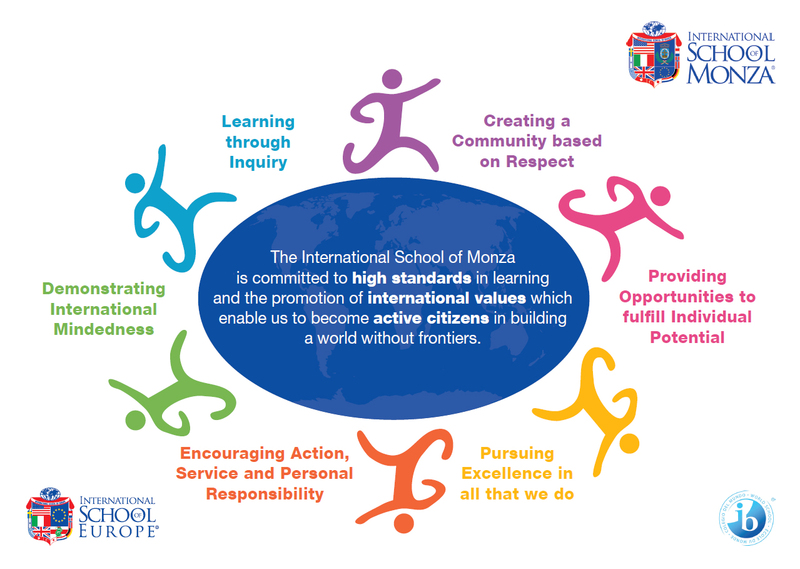 More information about the school and our host city can be found on our school’s dedicated TES page at https://www.tes.com/jobs/employer/international-school-of-monza-1066703as well as on our website at https://www.internationalschoolofmonza.it. The school is one of several very successful Italian schools belonging to ISE (International School of Europe) which in turn is part of Inspired (www.inspirededu.co.uk), a worldwide network of premium schools offering global best practice and professional development. We are seeking to appoint a Mathematics Teacher (IB Diploma & MYP 11-18 years old) to join one other mathematics teacher in our MYP/DP team. It is envisaged that the teacher appointed will teach two IB Diploma Programme classes and three IB Middle Years Programme classes, in a dedicated classroom fitted with an Apple TV a brand new SmartBoard. The contract offered will be a permanent appointment. We are looking for teachers who show a high level of initiative, flexibility, creativity and organisational skills, as well as a commitment to co-curricula initiatives. Our school is made up of a strong team of individual specialists who have built a uniquely collaborative environment. As such, we expect our new colleague to be committed to such an approach, as well as to high standards and a desire to ensure an excellent profile for the subjects and programmes they teach both within and beyond our school community. • to be an EU passport holder or already be in possession of a valid visa that enables to work in Italy. Previous experience with IB programmes is not required and official IB training will be offered, together with relocation assistance and help with the apartment search and settling-in process. Other employment benefits include a thirty-hour Italian course, an iPad and free school lunches. • Contact details of two referees (within the box provided), one of which must be supervisor from current/most recent appointment. The person appointed will be expected to begin work on 26th August 2019, before which date a criminal records check will need to be completed as part of our safer recruitment and child safeguarding policies. Address: Via Solferino 23, Monza, 20900, Italy.